Taxila cross at Lahore Cathedral, Pakistan. The taxila cross at Lahore Cathedral, Pakistan. 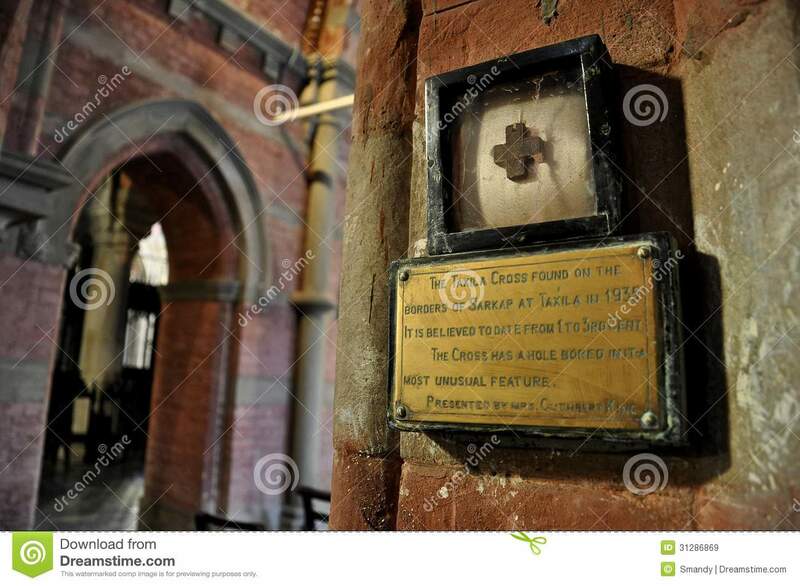 There hangs on one of the walls of the Lahore Cathedral, a small framed cross. This is the famous Taxila Cross found just outside the ruins of Sirkap in 1935. This was a time when a book titled The Acts of Saint Thomas was well known. Discovered in 1822 in Syria, the book told of how St Thomas, having been assigned by Christ to preach the Gospel to the Indians, arrived by boat in the capital of King Gondophares.